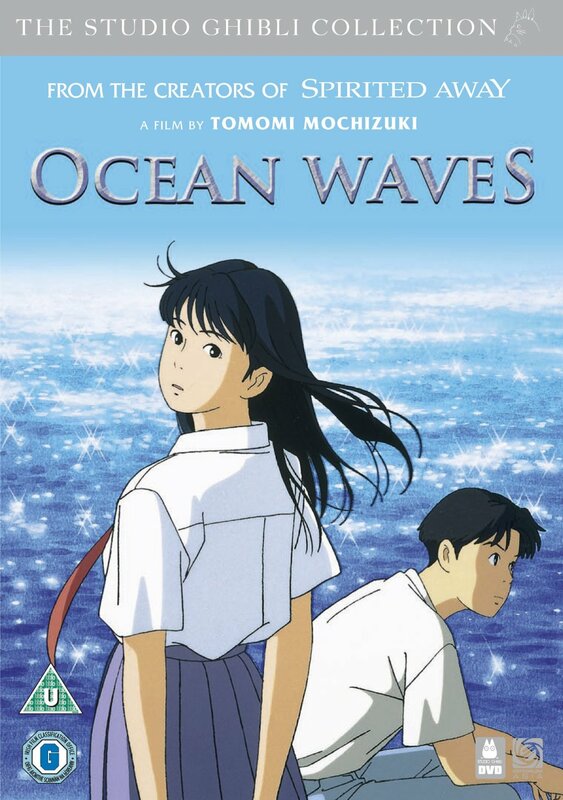 Ocean Waves was the first Ghibli production not directed by the studio’s creators Hayao Miyazaki and Isao Takahata. Directed instead by Tomomi Mochizuki, best known for his work on Here is Greenwood and Kimagure Orange Road: I Want To Return To That Day, and made with the colloboration of up-and-coming animators from the Ghibli studio. The film is therefore very much a product of the nurturing, teaching environment that the old masters had always envisaged the studio being. Ocean Waves is a look back at the halcyon teenage years of Taku as he journeys to a high school reunion, reflecting upon the way on love, friendship and a fateful class trip to Tokyo. Fusing a naturalistic neo-realist style with nostalgic recollection of the anxieties of first love, it is an accomplished and hugely enjoyable addition to the Studio Ghibli cannon. Ocean Waves was the first Ghibli production not directed by the studio’s creators Hayao Miyazaki and Isao Takahata. Directed instead by Tomomi Mochizuki, best known for his work on Here is Greenwood and Kimagure Orange Road: I Want To Return To That Day, and made with the colloboration of up-and-coming animators from the Ghibli studio. The film is therefore very much a product of the nurturing, teaching environment that the old masters had always envisaged the studio being. Ocean Waves is a look back at the halcyon teenage years of Taku as he journeys to a high school reunion, reflecting upon the way on love, friendship and a fateful class trip to Tokyo. Fusing a naturalistic neo-realist style with nostalgic recollection of the anxieties of first love, it is an accomplished and hugely enjoyable addition to the Studio Ghibli cannon.